Ben Watts has rapidly emerged as one of today's top photographers. His collection of photographic moments captured both on assignment and while working on personal projects covers a broad range of subjects, from street photography to fashion shoots, from hip-hop culture to high school wrestlers. Watts's images not only show the personal visual diary of an artist, but provide a new look at what it means to be young and urban. Often with short notes from himself or his subjects scribbled on the photos, or with bits and pieces from the 'site' (an airplane boarding pass, an entry ticket), Watts's images are put together in fantastic collages and combinations that are humorous and insightful at the same time. 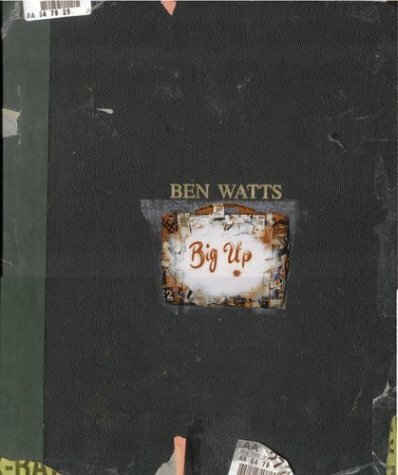 Big Up is Ben Watts's personal scrapbook reproduced in a large-format book that preserves all the qualities of a photo album. His images—vibrant, energetic, and sensuous—take readers on a photographic journey that stays in mind long after the book has been put down. Ben Watts has won several photographic awards and is a regular contributor to a variety of lifestyle magazines including Interview, Rolling Store, and the NY Times Magazine. He lives in New York City.